From a young age, our parents drill dental hygiene into us on a daily basis. We must brush twice-daily, must attend dental appointments at least twice a year, and avoid sugary food where possible. However, with the increase of hidden sugar, and acid, in our everyday food, it’s becoming harder and harder to maintain healthy teeth and gums. To help make your next dental visit a more pleasant experience, we’ve identified 10 of many everyday foods that are beneficial for your teeth and gum health. If you are having trouble to get your kids to eat healthy then these tips may help. Leafy greens, fresh cranberries, oranges, carrots, strawberries, apples, pears, kiwis, onions, celery, shiitake mushrooms, and sweet potato are all very beneficial for your teeth and gums. Many offer several different benefits for your overall health, but these particular fruits and vegetables can be beneficial for preventing tooth decay and gum disease. Remember it is best when you are able to grow you own vegetables. Aside from being a far healthier option than refined grains, whole grains can help lower the risk of gum disease. As such, it’s a good idea to add brown rice and oatmeal to your shopping cart on your next trip to the grocery store! Many of us love cheese, so knowing that it lowers the bacteria numbers in your mouth and increases saliva production is all the more reason to add it to your diet. However, it pays to swap soft cheese for cheddar as it’s rich in calcium and more effective. If you are traveling through France, then don’t miss the burgundy area – a must see place. As children, we were always told to drink more milk for strong, healthy bones. However, it’s equally as beneficial for our teeth. It’s rich in calcium, and even lowers acid levels in the mouth to help fight tooth decay. If you’re partial to a glass of wine, but you’ve been told it’s not good for you, you’ve now got a counter-argument! Red wine features antimicrobial properties which can help fight against cavities. Our bodies are made up of 60 percent water, so it’s always beneficial to include at least eight glasses a day in your diet. However, it’s also beneficial for fighting tooth decay as it washes away food particles and keeps your saliva levels high. Nuts have long been recommended as a healthy snack, but they are also great for your teeth. They contain calcium and phosphorus which fight decay-causing bacteria. 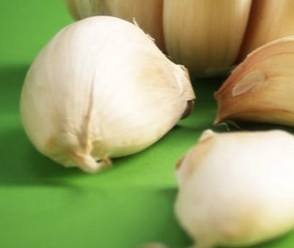 Garlic has been a winner when it comes to stopping colds and the flu in their tracks, but it’s also helpful for gums and teeth. It features antimicrobial properties which work to prevent periodontal disease and tooth decay. Just remember to carry around chewing gum to stop your breath from smelling. Speaking of which, chewing gum is more than just a way to prevent garlic from ruining your breath. It helps to heighten your saliva levels to prevent bacteria and food from lingering in your mouth and teeth for too long. Who would have thought your morning wake-up beverage had benefits for your teeth and gums? Black, unsweetened coffee helps to fight plaque, while black and green tea can reduce the number of bacteria in your mouth.